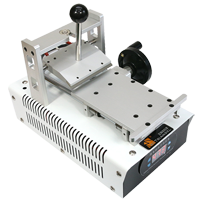 LCD Degumming Machine TBK928 150W for removing damaged polarizer and LOCA/OCA adhesive from LCD. 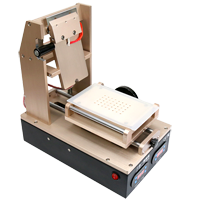 Blade is heating through cartridge heater so quickly and efficiently separates the glue or a polarizer of the LCD display. The uniformity of pressure in the removal of polarizers also provide two springs located on both sides of the blade. Handle with a blade can also be locked permanently ensuring fixed contact with the removal LOCA / OCA adhesive. Vacuum separator TBK-318 7,3" with OCA/LOCA delamination function is separator used to separate glass / touch screen of the LCD display on mobile devices, ie phones, smartphones tablets. The heater heats the screen and display that joined OCA / LOCA adhesive (in practice enough temperature 80-100C) and then using a very thin molybdenum wire cuts a bonded both. 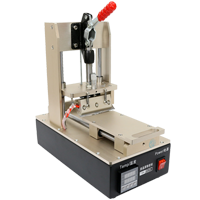 Model TBK-318 has an additional function of delamination or removal of adhesive residue LOCA / OCA. 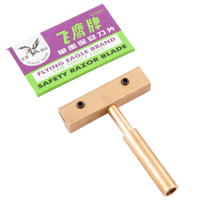 Removal of the adhesive takes place by means of a heated blade 100x18mm. Delaminator LCD M-TRIANGEL FR02V 200W for removing damaged polarizer and LOCA/OCA adhesive from LCD. Blade is heating through cartridge heater so quickly and efficiently separates the glue or a polarizer of the LCD display. The uniformity of pressure in the removal of polarizers also provide two springs located on both sides of the blade. 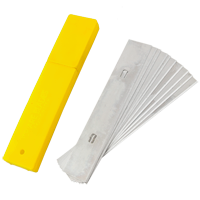 Handle with a blade can also be locked permanently ensuring fixed contact with the removal LOCA / OCA adhesive. 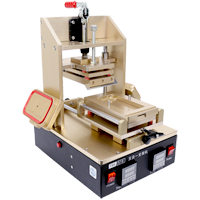 Automatic frame laminator (degumming ) machine M-TRIANGEL CP-127 300W is used to connect the hot new bezel frame and the glass in the iPhone as also for removing damaged polarizer and LOCA/OCA adhesive from LCD. The set includes molds for iPhone 4/4S, 5/5S, 6/6S, 6+ /+ 6S. 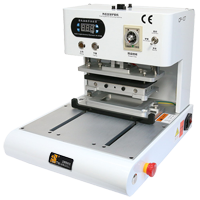 Laminator fully electric - no requires pumps and compressors to work. NET/Aouye 936 Tip for removing polarizers/glue is special tip for removing damaged polarizer and LOCA/OCA adhesive from LCD. Blade is heating through heater from statikon so it allows quickly and efficiently separates the glue or a polarizer of the LCD display.